Sidney Herbert Sime: The Gates of Heaven etching, 3rd state. 36.5 x 27.5cms. The National Gallery of Victoria in Melbourne have a copy bought in 1928, although the state is not mentioned.On it he has written ‘etched & printed by me at my press at the Old Crown Inn Worplesdon Surrey. Mounted on thin tissue. A few marginal tears. Probably dating to around 1903 as there is an identical (although reversed) pen, ink & watercolour published in The Sketch, 9th December 1903. Category: Miscellaneous. 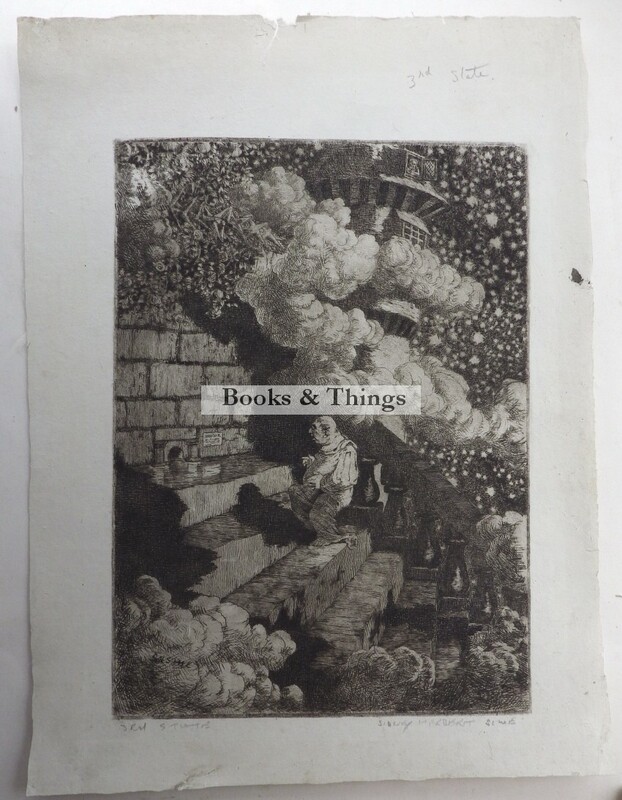 Tag: Sidney H Sime etching.